Old US 66 North Canadian River, Oklahoma Co. 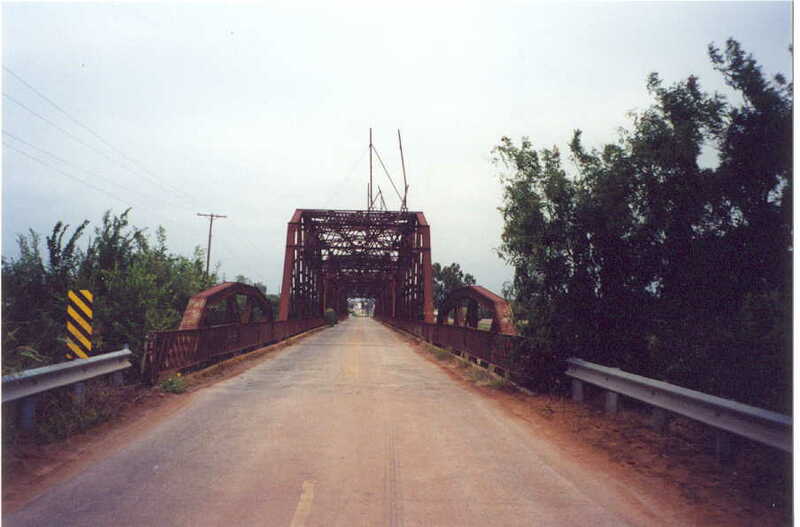 Here is another bridge on the famed Mother Road, Route 66. This structure consists of 4 160' modified Parker Truss spans plus two 100' ponies at each end. 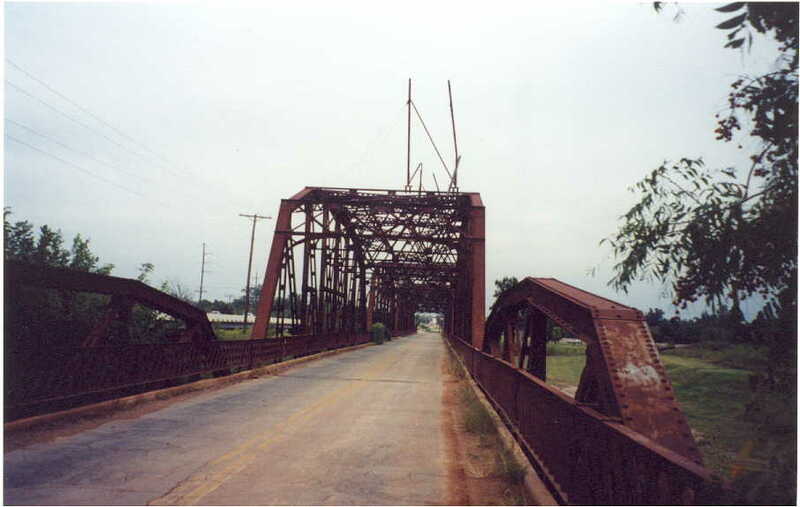 The bridge is of the old standard width, and has two 10' wide driving lanes (as opposed to today's 12' lanes). If you saw the picture of the old US 169 bridge crossing the Caney River, you'd realize that the 160' span on that bridge is the same as the 160' spans on this one. 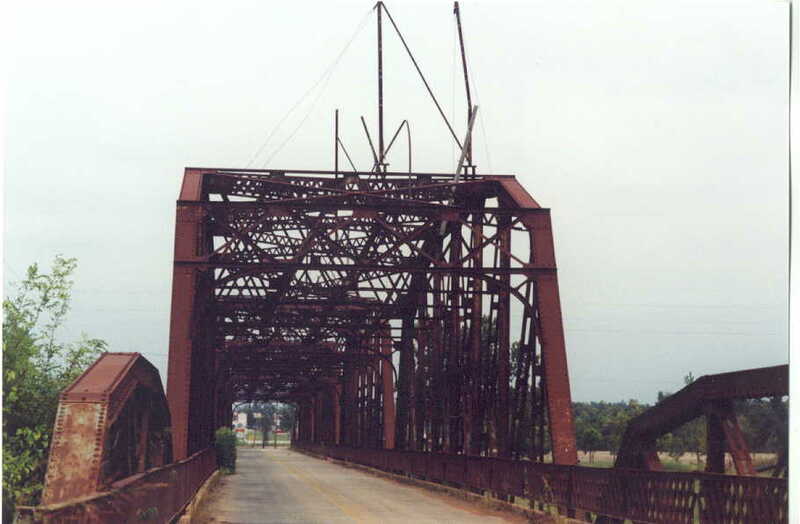 This bridge still has its corner brackets and a very heavy-duty type of lattice guard, similar to the kind installed on a bridge in Blackwell, OK built in 1924. 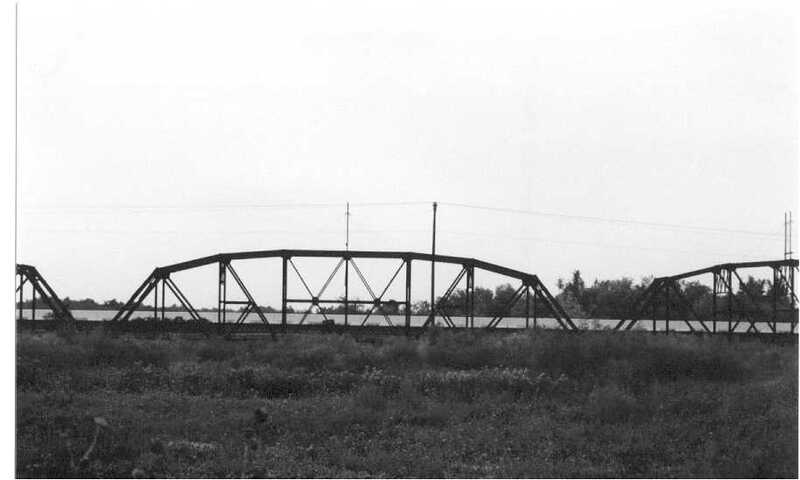 This bridge was also built in 1924. Fortunately for me, the bridge is adjacent to a park, so getting a side shot was easy. 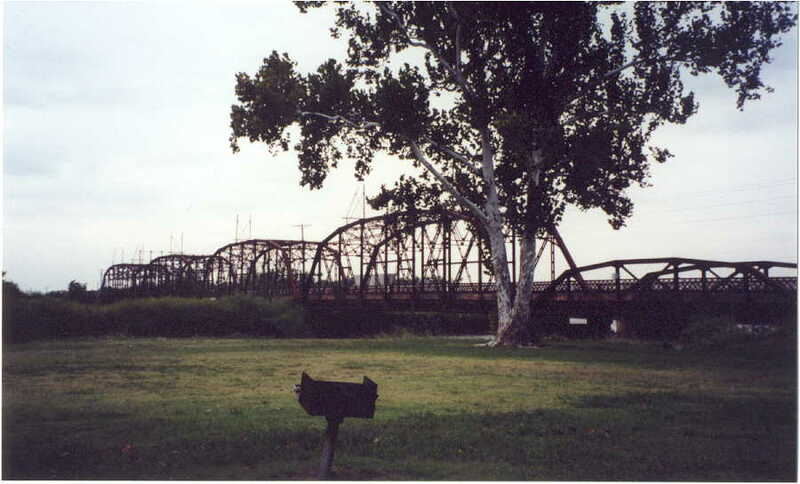 The bridge is located immediately upstream from Lake Overholser. In the above photo you can see the subdividing happening in some of the panels. 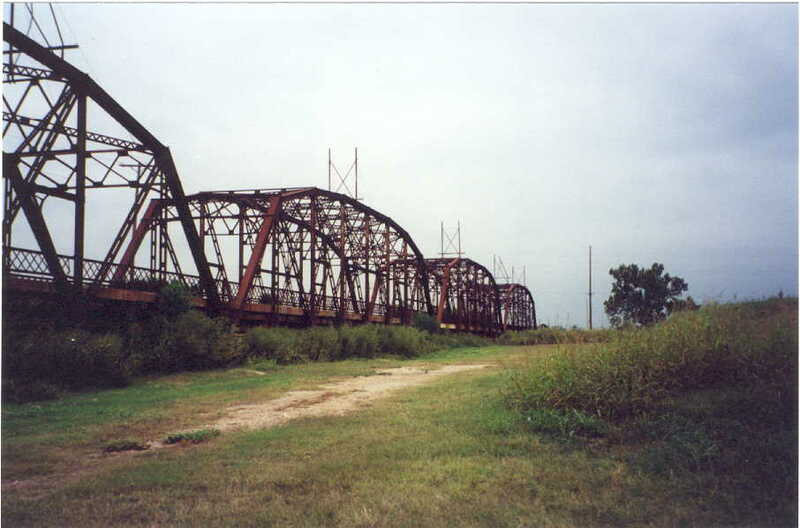 This was done so the extra weight of a 20' wide road could be carried easily (normally, truss bridges were built with 16' roadways). And finally, a close shot of the portal. The masts on top of the bride are the remains of a telegraph/telephone line that was strung across the bridge.